BADIN: Former National Assembly (NA) Speaker Dr Fehmida Mirza has parted ways with the Pakistan People’s Party (PPP), adding that she would join a party committed to providing basic facilities to the people of Badin. In an interview with a private news channel, she reasoned, “The PPP government caused deteriorating conditions in Sindh and ignored the people of Badin. Those in power paid attention to the severe issues of water, irrigation, roads and electricity in Badin. On Thursday, addressing a gathering in her native town Badin, Dr Mirza said that she won’t contest the next election on the PPP’s ticket and would join a party shows commitment to provide water and other basic facilities to the people of Badin. The former speaker said that everybody was awaiting her next decision. “I have decided to raise my voice for your rights despite the threats to me and my children,” she added. 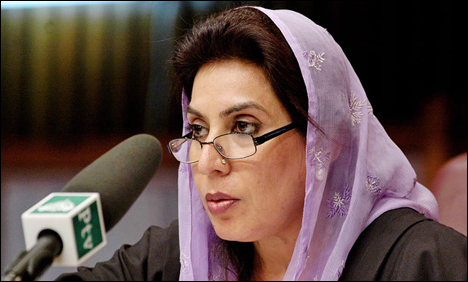 Dr Mirza had successfully been elected from her home constituency from the PPP ticket during the general elections of 2002, 2008 and 2013. Her husband, Zulfiqar Mirza is also a former member of the PPP with close ties with the party’s co-chairman Asif Ali Zardari. He was the provincial minister of PPP’s government in Sindh during 2008-2013 tenure. In late April, it was reported that the Mirza family is likely to join Pakistan Tehreek-e-Insaf (PTI) soon. The joining could be a major setback for the PPP, where the Mirza family had a stronghold and had given tough times to their former party during the last held union council elections.